Postcode GU is the What’s On Guide for the local area. Armed with catchy hooks and fresh, uplifting melodies, The Toniks, a promising new British Pop band are taking the industry by storm. Formed in January 2010, this five member spirited group have raised considerable eyebrows on both sides of the pond. With a sound reminiscent of The Small Faces, Squeeze, Blur, audiences are intoxicated with a perfect blend of melodic pop and nostalgic British rock. 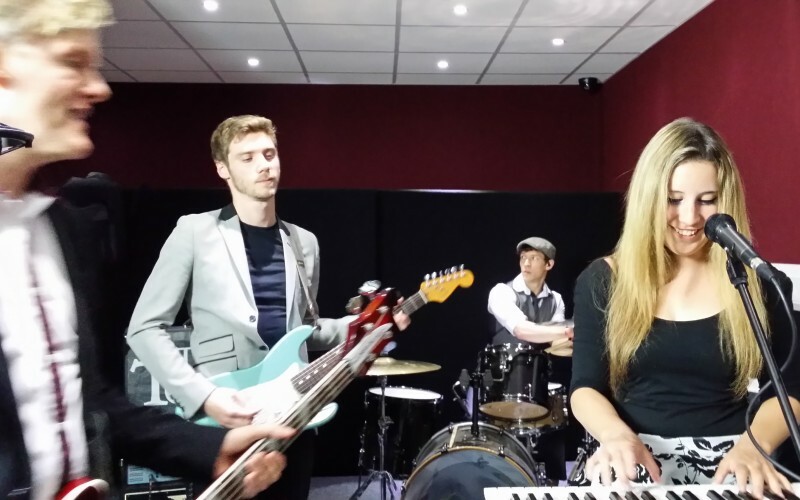 The infectious excitement surrounding The Toniks caught the attention of producer, Graham Dominy (Biffy Clyro, Eurythmics, Tom Jones, Imelda May) resulting in the release of their debut album, “Rise and Shine.” The album has received numerous rave reviews. On a recent tour in Canada promoting the soft release of “Rise and Shine,” the owner/operator of radio station RTDS was so impressed with their music/performance at The Horseshoe Tavern in Toronto that he put their music into regular rotation. Since then The Toniks have enjoyed radio airplay and interviews in the UK as well. And if you’re a fan of the Toniks, you could become part of the band as they need a new drummer, but you’ll have to hurry as auditions have already started.